Black Jack is one of the most popular casino games found at all online casinos even at the Las Vegas strip across Nevada and other states of the country. This game is also known as a Twenty-One game in some countries and parts of the United States of America. 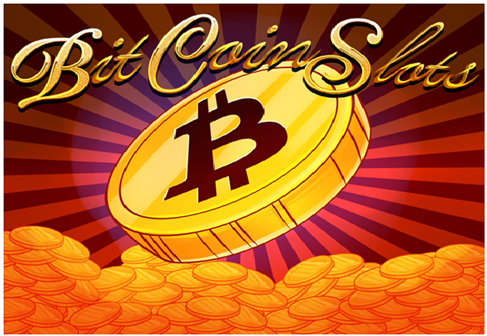 Like other Bitcoin casino games it is played with Bitcoin cryptocurrency with ease and simple way at online Bitcoin casinos. 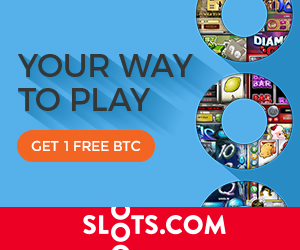 All you need to do is select a reputed Bitcoin casino then select the game of Blackjack and now select the amount that you would like to bet. After placing your bet click DEAL to start dealing cards. Both the Player and the Dealer are dealt two cards. Player’s cards are dealt face up, Dealer’s – the first card face up, the second one – face down. This game is played either with two decks of cards or more than two decks. In many cases, the blackjack game can also be played with one deck. In the case of more than two decks of cards, you can use 4 decks, 6 decks or 8 decks. In one deck as well as in two decks blackjack game, the cards are dealt by the dealer with faces of the cards down and players can see those cards by using any of their hands. Another format of blackjack game is played via a ‘shoe’ in which all decks of the cards are placed for distribution. The ‘Shoe’ looks like a tray to be used for distribution of multi-deck black jack game. In this format of the game, the cards are dealt with their face up. You are not allowed to touch cards in this multi-deck game. This game is played on a special purpose table; this special purpose table looks like half circle cut away from a circular table. One side of the table remains straight and remaining three sides are covered by half circle. The circumference of the half circle of blackjack table is marked with seven equally distanced circles where players stack their bets. All players who join black jack game stand in front of their respective betting spots. The dealer deals the cards near those betting circles for each player as per rules of the format of that game. The main objective of this popular casino game is to beat the dealer of the game via card hands. The procedure to play the game is almost similar; you need to beat the dealer with higher hands. The values of the cards are different. For example, an ACE is equal to either 1 or 11; King, Queen, and Jack are equal to 10, while the values of the remaining cards are the same as their face value written on them (2 to 10). If the value of your hand is over 21, it is called ‘Bust’. You have to make a good combination of cards less than 21 to beat the dealer and win the game. Any value of the hand is called ‘Hard Hand’ if it does not consist of Ace otherwise it is called as ‘Soft Hand’. Blackjack card values are as follows:-Ace: is valued at eleven; however, it will “bust” a player at which point its value is changed to one. -Face cards: are Kings, Jacks, and Queens and are worth ten points. -Other cards: two to ten are worth their face value, for example, nine is worth nine and four is worth four. After a player receives their cards and observes the dealer’s single-face-up card, they are then challenged and must make several decisions. They can “stand,” “hit”, “split” or “surrender.” Every decision is coordinated with a set hand gesture. 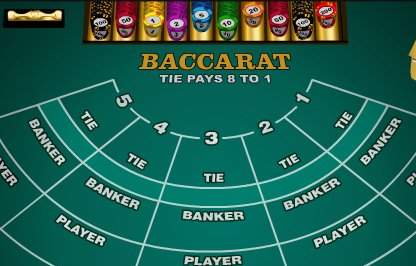 Until the player makes the proper signals with their hand, the dealer will not act. -To “stand” a player normally gestures with their hand horizontally or slips their card underneath their bet. This indicates that no more cards are needed for this particular hand of the game. -To “hit” the player signals with a tap on the table with one finger or grazes their cards against the table. This indicates that they want an additional card to get nearer to or to make twenty-one. On the other hand, a “hit” can also “bust” a player making them lose their bet. For example, if a player’s cards add up to 15, they may take a “hit” or ask for an additional card. If the additional card is “six” they have twenty-one. If the additional card is over six they go bust because the amount will total more than twenty-one. If they receive a card under six like three, this will equal 18, the player must decide if it is worth it to take another hit. -To “double down” means the player doubles their original wager and receives an additional single-card. This is gestured by positioning the extra bet next to the first bet and making a “one” gesture with a finger. -To “split” the player will double their wager by positioning new-chips next to their first bet, and form a “two” signal with their fingers. Their two-cards are then separated and the player is given two fresh cards on each original. -Lastly, a player can “surrender” by gesturing with a swinging-motion above their bet. This indicates that they are giving up their hand and forfeiting half of their initial wager. Many casinos train a video-camera on each activity taking place at gaming tables. If there is any type of confusion or disagreement concerning a player’s choices, the video-tape will be a witness to all happenings including hand gestures they used to communicate their choices to the dealer during the game. 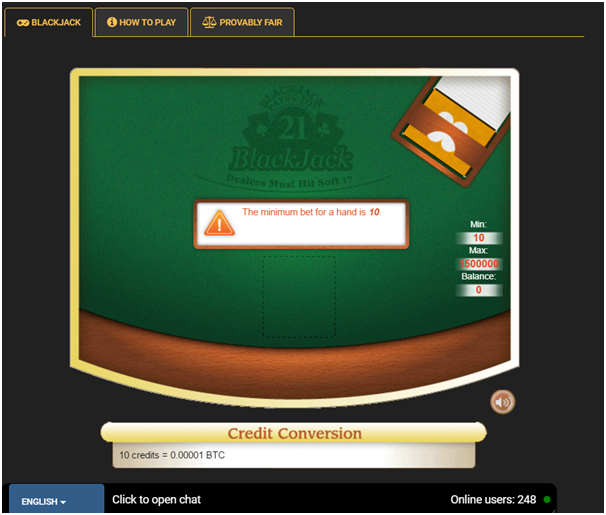 There are many Blackjack variations to be played at online Bitcoin casinos. 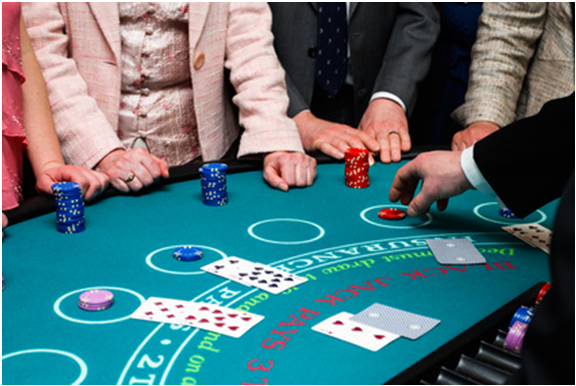 The most popular Blackjack variant player is Multihand Blackjack and MultiPlayer Blackjack. 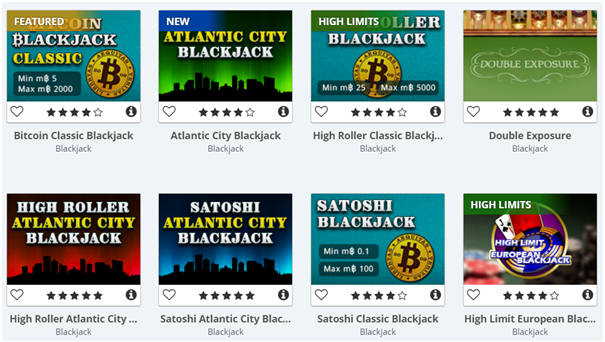 Also casinos like mBit offer more than 10 different types of Black Jack bitcoin gambling games. 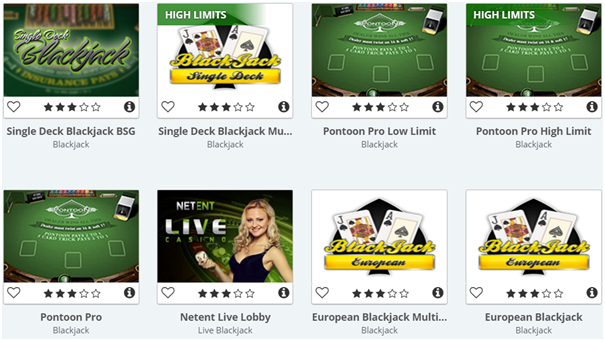 The important Blackjack games offered on this website include Black Jack Multi Hand, Face Up 21, Mini Black Jack, Pirate 21, Pontoon Blackjack, Single Deck Black Jack and many others. Some exciting offers and bonuses are also offered on this website. In multihand Blackjack you are allowed to play with more than one hand during a round. This makes the game play faster and more challenging. In multiplayer Blackjack you get the chance to play with other players in real time which makes the game much more realistic and interesting. 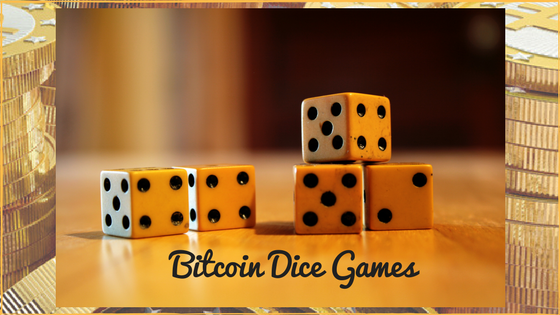 There are many online bitcoin casinos that offer black jack table game to the interested wagers online. You can move ahead to online Bitcoin casinos and enjoy either a live dealer Blackjack game or simple Blackjack table game without forgetting to earn BTC bonuses as you register yourself at these casinos.